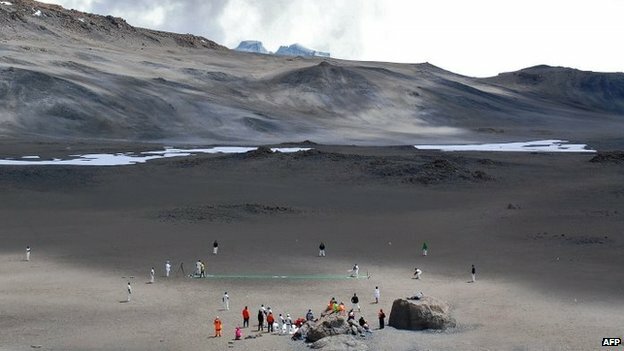 “They played 10 overs each of a Twenty20 game before clouds stopped play.” Setting a cricket altitude record on Mount Kilimanjaro. Photo by @petermartell via @afpphoto. This entry was posted in Photography, Sport and tagged altitude record, cricket, Kilimanjaro. Bookmark the permalink.